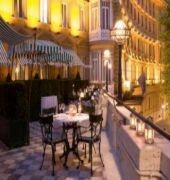 The Hotel Majestic is located on the famous Via Veneto, in the heart of Rome, and within walking distance to the Trevi Fountain, the Borghese Art Gallery and Gardens, the Spanish Steps and the elegant Via Condotti, with its haute couture boutiques and shops. With such a central position, its 98 beautifully appointed rooms, meeting facilities, gym and 2 restaurants, The Hotel Majestic is the ideal starting point when visiting the "Eternal City" for either leisure or business. 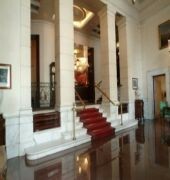 The MAJESTIC ROME is a Tourist, Art Decor, Boutique, City hotel, Full Service hotel. 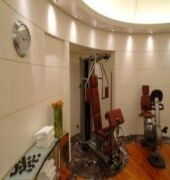 Located in City Centre - Via Veneto area. Shopping is accessible by bus/taxi and the nightlife/restaurants are easily accessible by taxi or bus from the hotel. 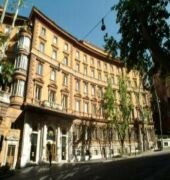 Descriptionclass="small" style="text-align: justify; font-size:11px;">The Hotel Majestic is located on the famous Via Veneto, in the heart of Rome, and within walking distance to the Trevi Fountain, the Borghese Art Gallery and Gardens, the Spanish Steps and the elegant Via Condotti, with its haute couture boutiques and shops. With such a central position, its 98 beautifully appointed rooms, meeting facilities, gym and 2 restaurants, The Hotel Majestic is the ideal starting point when visiting the "Eternal City" for either leisure or business.